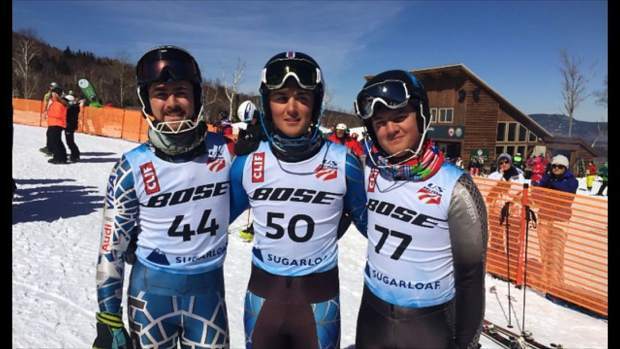 Calvin Wilson (middle) poses with his brothers Kenny (left) and Cody at the US National Championships at Sugarloaf Maine. Wilson will return to Maine in the fall to race for Bates College. One of the area’s top skiers, Calvin Wilson, will be packing up his skis to compete at the next level in the fall, joining the NCAA Division I Bates College men’s alpine ski team. After years with the Far West Masters Scholarship Program, Wilson recently parlayed his success on the slopes into a $10,000 college scholarship from the program, as the recipient of this year’s Jeff Wattenmaker Scholarship. 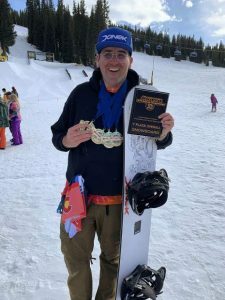 According to Far West Masters Chairman Eddie Mozen, the award is handed out each year to a skier, who displays a high level of commitment and involvement to the program. 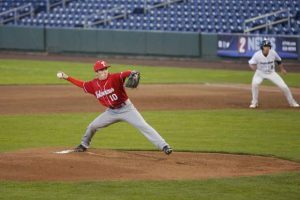 Jeff Wattenmaker created the scholarship prior to his death in 2010, in order to encourage student athletes to excel in all aspects of their lives. Wilson has been a part of the Far West Masters Scholarship Program since he was 11 years old, and grew up skiing for Squaw Valley, Diamond Peak, and Park City during his junior career. Last season, the 18-year-old started his season strong competing as an International Ski Federation (FIS) skier for the Diamond Peak Ski Team under coaches Canaan Pollock and Konrad Rickenbach. But he’d hit a rough patch shortly into the year, failing to finish a handful of races in a row. Wilson then bounced back to pick up his first win of the year in slalom at Lutsen Mountain Ski and Summer Resort in Minnesota. He’d finish his season with three podium finishes, five top-ten finishes, and is ranked in the top 700 in the world for all ages in FIS slalom, and eighth in his age group in the U.S. for slalom. Wilson concluded his year, competing with his two older brothers, Kenny and Cody, at the U.S. Alpine Championships in Sugarloaf, Maine. 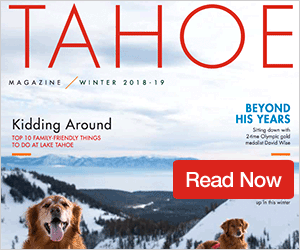 Since finishing this year’s ski season, Wilson has been working and skiing at Mammoth Mountain Ski Area, and for the past couple of weeks has been living out of a tent as he balances his time between skiing and work. 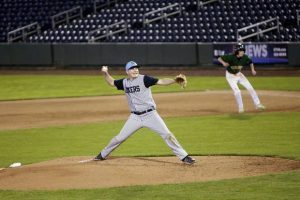 He said he plans on skiing dry land over the summer months, while taking advantage of a late ski season at Mammoth in preparation for the upcoming collegiate ski season, with a goal to finish in the top 30 at each of the season’s ski carnivals. Wilson said he wanted to thank the Wattenmaker family for their support, and going forward, will look to make the entire Far West Master’s Organization proud. All Far West Alpine Athletes ages 13-20 are encouraged to apply for the Far West Masters Scholarship Program. Applications can be found at the Far West Skiing website fwskiing.org, and are due by Sept. 15 for the 2017-18 ski season.